How the land came about is a topic ripe for mythology. A question that every community and civilization has sought to answer in their own way. 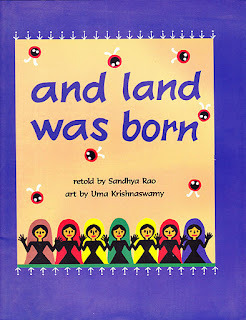 Like all stories born in the heart, this one was born in Madhya Pradesh, also known as the heart of India. 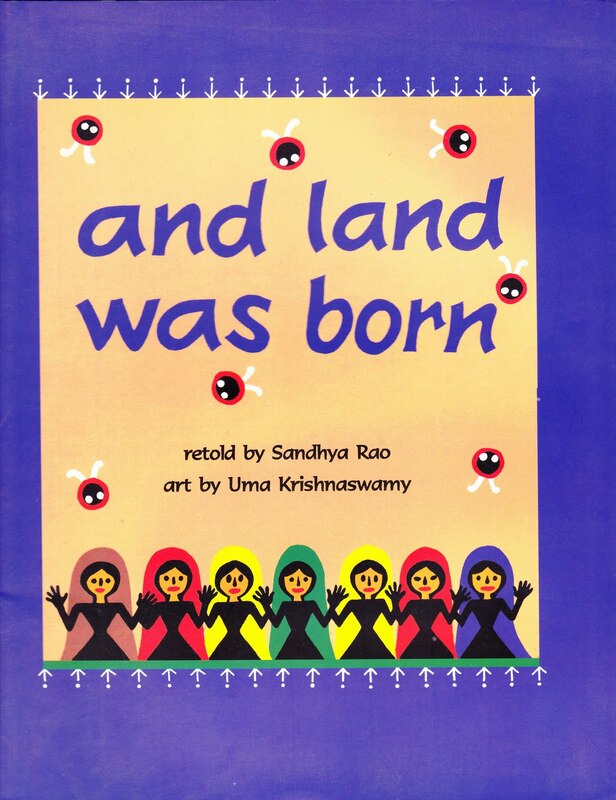 This tale belongs to the Bhilala tribe. Sitting in his village, Jhinjhini, in the Jhabua district, Guna Baba, a wise old tribal tells his tale. First, there was only water, no land. Humans, birds and animals, all floated, swam and waded around in this water. Frustrated, tired and wet, they appealed to the four Jugni Matas or the mothers of the Universe to help them. The jugni matas got to it immediately, searching high and low for land and coming up with nothing. Finally they decide to ask God. God, in this case is a sleepy, lazy God. He snores through the pleas and finally one of the jugni matas changes herself into a crying baby and lies down next to him, wailing in a bid to wake him up. The sleepy God turns over, plugs his finger in her mouth to pacify her and snores on. Of course, being a God, his finger does more than just pacify her. It begins to release milk, that the jugni mata drinks and drinks and drinks. The baby grew fatter and God grows thinner. Finally he wakes up in a panic and wonders what to do with this baby who won't stop growing or drinking. An astrologer tells him the story behind her and also tells him that finding land is not in his fate. The story goes on and suffice to say, land is found after much hard work, many years and by somebody who is not God. A rather humourous tale about the impotence of God in this time of need and the contributions of much humbler creatures, it is fast paced and unpredictable. Just when you think you are nearing the end, there is yet another twist in the tale, keeping you quite hooked. The art work by Uma Krishnaswamy is inspired by paintings she found on the mud walls of the houses of the tribals. Definitely one fun way to answer the question - How was the earth created, Mama? We have this book @ home. Stories of evolution are very interesting.